On Facebook. And on Twitter. 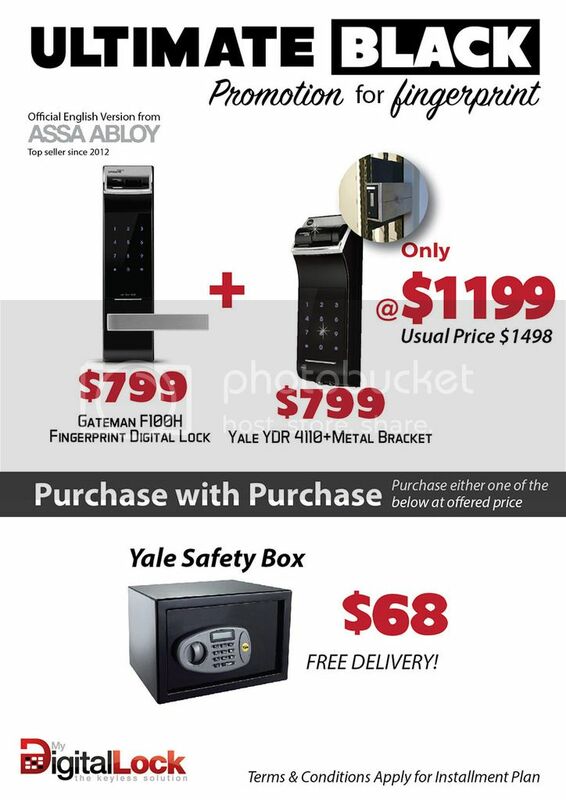 Gateman Fingerprint Digital Lock and Yale Fingerprint Digital Lock @ $1199! Unlock both Digital Locks with 1 fingerprint! Replace your HDB Main door lock now! Cheapest in the market,10 sets left! Google our company: "MY DIGITAL LOCK" for more information. Check out for more promotions to REPLACE HDB main door at $599 and bedroom at $280! Last edited by Yuuki_BrS; Aug 2nd, 15 at 05:31 PM.